A Book Launch, a Dominican Night in DC, a chair at UNA-USA, and a conversation with Ambassador Andrés González Díaz – GFDD to a great start of the year, see for yourself in the January/February Newsletter! Don’t miss the Dominican Night at the DCEFF! As part of the 2016 DCEFF program, a Dominican Night will be hosted by DREFF on March 18th at the Hispanic Gala Theater in Washington, D.C. DREFF has been closely collaborating with the Washington DC Environmental Film Festival (DCEFF) for five years now, as expressed by the words of Natasha Despotovic, executive director of GFDD, “We greatly appreciate our collaborative relationship with our friends at DCEFF, they inspired us for the creation of our own festival, Dominican Republic Environmental Film Festival". This opportunity is precious in fostering GFDD’s aim of facilitating the enrichment of the film culture of the Dominican Republic and bringing it to a wider audience. The Dominican Film Festival (DREFF) announced on February 22, 2016 the fifth edition of the first audiovisual competition in the area of environment and sustainable development in the Dominican Republic, the Globo Verde Dominicano Award. This year’s competition will include 4 categories: the recently added Globo Verde Junior, Public Service Announcement, Short Film and Photography. Information on rules and registration forms are available at www.globoverdedominicano.org. GFDD/Funglode launched their newest publication, All Things Dominican/Lo Dominicano, both in Santo Domingo and New York, February 18th and 24th, respectively. In New York the event began with the participation of Dominican singer, José Fernando Capellan, and was attended by leading members of the Dominican community. In Santo Domingo the event took place at Libreria Cuesta, and Delia Blanco Dominican anthropologist, art critic and vice president of the Association of Caribbean Writers, recognized for her contributions to the study of the Dominican identity, highlighted the book’s great contribution to the Dominican culture. Click here to see more about Santo Domingo presentation. Click here to see more about NYC presentation. GFDD Appointed Chair of UNA-USA! The Global Foundation for Democracy and Development (GFDD) was appointed Chair of a new sub-committee by the United Nations Association of the United States (UNA USA) Council of Organizations entitled “Support and Promote a Sustainable Environmental Ecosystem.” The subcommittee will serve to advance the Sustainable Development Goals (SDGs) of the United Nations’ 2030 Agenda for Sustainable Development (Agenda 2030), allowing GFDD to foster its mission to implement initiatives that contribute to sustainable social, democratic, economic and cultural development. A total of 8 political sciences students from University of Rhode Island and a teacher participated this year in the InteRDom Winter Program in the Dominican Republic. The group had a blast! In the words of Jody Lisbergerer, Associate Professor of Gender and Women’s Studies of the University of Rhode Island (URI), the InteRDom program was “a superb trip” characterized by the “hard work and marvelous stewardship of the organizers”. The 15th Educational Expedition to Pico Duarte, part of the initiatives of the RDescubre program, was successfully held when 75 students had the opportunity to climb Pico Duarte, the highest mountain in the Caribbean. The event, organized by GFDD/Funglode in collaboration with the Siempre Más Foundation, Punta Cana Foundation, and Angel Guard, took place from January 14th to 17th under the coordination of the alpinist Karim Mella, President of Siempre Más. Would you like to know the winners of 2015 GFDD/Funglode Awards? As part of the 2016 DCEFF program, a Dominican Night will be hosted by GFDD/DREFF on March 18th at the Hispanic Gala Theater in Washington, D.C. Three Dominican films will be screened: Reserva de la Biosfera: Jaragua, Bahoruco, Enriquillo, GFDD's most recent short Value of Life, and 7 Gramos, winner of the 2015 edition of DREFF’s Globo Verde Dominicano Award. There will be a panel discussion with Natasha Despotovic, GFDD’s Executive Director, as well as other special guests after the screenings. When: Friday, March 18th 2016. 7:00pm. Where: Gala Hispanic Theatre, Washington D.C. The Dominican Republic, together with 121 other countries endorsed the United Nations General Assembly’s Declaration of Commitment to End Sexual Violence in Conflict on October 2, 2013. Looking to extend this effort further, GFDD and Funglode would like to present an update session on the Dominican Republic’s efforts to reduce violence against women and promote gender empowerment to this year’s participants of the 60th Session of the Commission on the Status of Women. The event will include interventions from policy experts in this field at the local, national and international level, from the Dominican Republic, the US and abroad. Fernando Villalona, el Mayimbe, born in Loma de Cabrera, Dajabón, one of the most important musicians of the Dominican Republic will take the stage to talk about his life and more than 45 years of musical career. In particular he will talk about his musical repertoire, which includes a vast number of songs that pay tribute to women and the multiple roles they’ve had in his life. Villalona is one of the most famous and emblematic artists in the country with more than 20 albums of merengue, cumbia, bachata, boleros and ballads that have entertained and touched the hearts of audiences around the world. 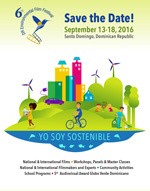 As part of its mission to reach more communities, institutions and individuals around the country, the DR Environmental Film Festival, organized, February 26, at the ITSC San Luis in Santo Domingo, where the documentary “Cotton Road” was also screened on January 23, the projection of Dark Side of the Chew. Furthermore, in collaboration with Grupo Puntacana and Fundación Ecológica Puntacana, GFDD organized a special screening of the Dominican documentary La Montaña at Puntacana Village on February 24 and at the Politécnico Ann & Tedd Kheel in Verón, on February 25. By showing a diverse selection of quality films on critical environmental issues and organizing discussions and workshops, the year round film screenings seek to foster and inspire dialogue, raise awareness and promote sustainable practices. GFDD joined the Embassy of the Dominican Republic to the White House, the Permanent Mission of the Dominican Republic to the Organization of American States (OAS), and the Instituto Duartiano, in celebration of a magisterial conference in memory of the father of the Dominican nation, Juan Pablo Duarte. Diplomatic Dominican and Latin American authorities, representatives of international organizations, young Dominican professionals resident in the area, and members of the Dominican community enjoyed this activity that exalts the patriotic values and the historical legacy of a hero.